I LOVE using these in my classroom. 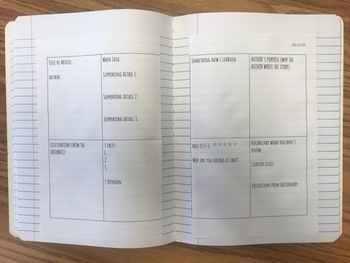 They are left out in my classroom and each time a student finishes a book they either take the fiction version or non fiction version, cut it in half, glue it in their notebooks, and complete them. My students enjoy doing these as a closing project to each book they read and I enjoy being able to gauge what they learned from their books. This resource also touches on several important reading topics that encourage students to use their higher order thinking skills including character traits, summary, theme, unknown words, context clues, and authors purpose. Enjoy!